Tree removal gone wrong- REALLY wrong. We’ve all seen videos or photos on the internet of what happens when tree care goes wrong. When it comes time for you to have tree work on your property, it can be hard to forget the catastrophic mistakes you’ve seen documented online. So, how do you avoid damage to your property and trees? Mistakes happen. We’re all aware of this fact. 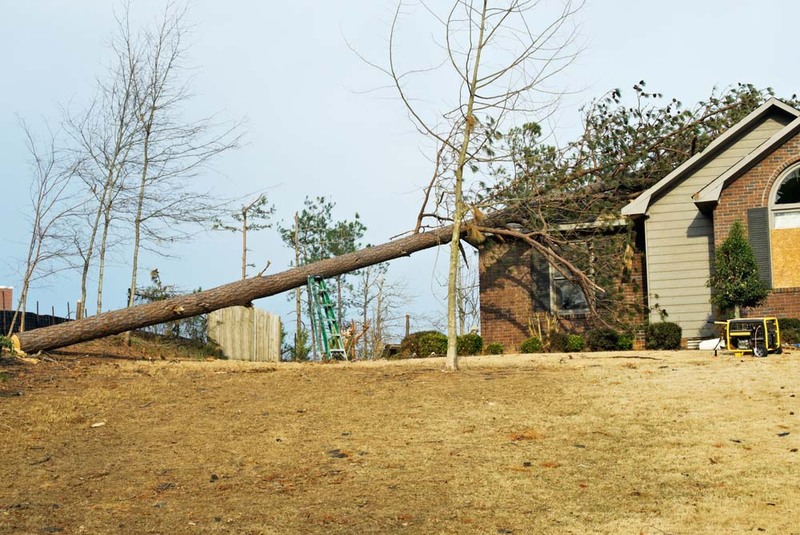 However, risk can be minimized if you’re tree company is properly trained and insured. The allure of a very low price tag can be appealing, but having ‘Chainsaw & Pickup Truck’ tree service mess up will cost you big in the long run. So what makes Certified Arborists so great in comparison? Expertise and Safety! Becoming a Certified Arborist means being trained, tested, and knowledgeable in all areas of arboriculture, and/or having a degree in arboriculture, horticulture, landscape architecture, or forestry from an accredited educational institute. Certified Arborists will be familiar with things like tree and shrub biology, and tree physics which are important things to know when treating/diagnosing trees, as well as pruning or removing trees. One easy example to look out for is spikes- if your tree is being removed, the use of spikes to climb the tree is fine, but if the tree is being pruned the use of spikes is 100% incorrect. Why? Trees do not heal in the way that you or I do. Once you spike a hole into a tree (or 50 holes…) they’re staying there. This puts the tree at risk for insects and disease, meaning you could get your tree pruned by a ‘tree hack’, and then find yourself having to have it treated or lose it completely later down the road because they do not follow the same standards an Arborist would. Trees that are properly cared for increase your property’s value, but improperly cared for trees are a potential hazard. Safety is an important part of the tree care industry, as it is one of the most hazardous professions. Being a Certified Arborist or Certified Tree Worker doesn’t make accidents impossible- but it certainly helps to closely follow the safety standards of our industry. In order to pass the Certified Arborist/Tree Worker examination, you must know what to do in an emergency situation (i.e aerial rescue), as well as how to avoid them completely. Arborists work with a balance of science and practicality. Understanding tree physics and biology helps them determine the best way to make safe cuts in difficult circumstances, minimizing the chance of damage significantly. So, the moral of the story: Don’t cut corners, hire a true professional. Make sure your tree care company has a business license, is insured, has certified arborists and tree workers, and most importantly- has your trees and your property’s best interest in mind.